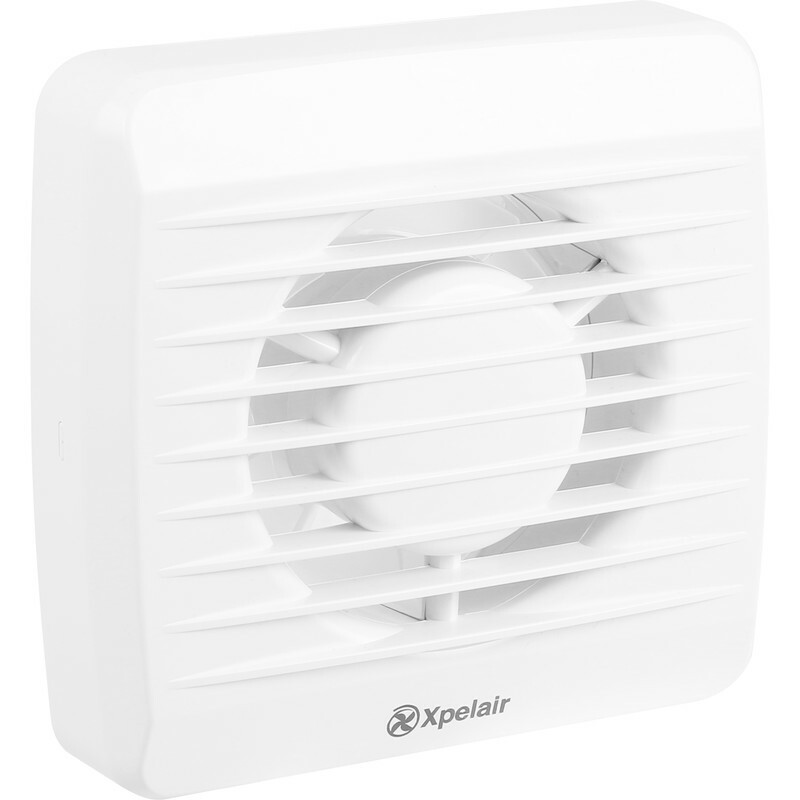 Xpelair VX100 100mm Extractor Fan Timer is rated 4.0 out of 5 by 26. Rated 5 out of 5 by peteWv from Quiet in Operation Bought to replace an existing fan in a shower room. Was reasonably easy to fit. Is much quieter than the original. A nice feature is that it doesn't start as soon as you switch the light on. So if you go into the room just to fetch something the fan does not run for several minutes. Rated 4 out of 5 by SuperStevo from Nice fan, simple connection. 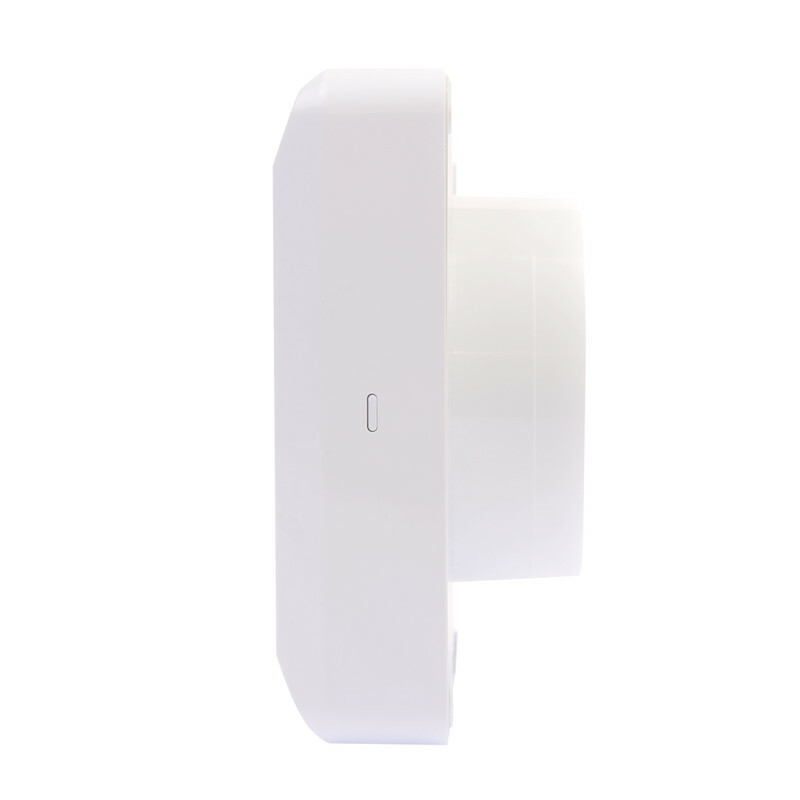 I've bought a few of these, simple to fit and like that if you core a round hole you don't have to notch out for the cable as it runs through the central round part. Be careful here as even 1.5mm can be a bit snug, I'd recommend 1.0mm. only down side is they have two mounting holes and the back plate is a little flimsy, so if the wall is not perfectly flat it's hard for front to attach. 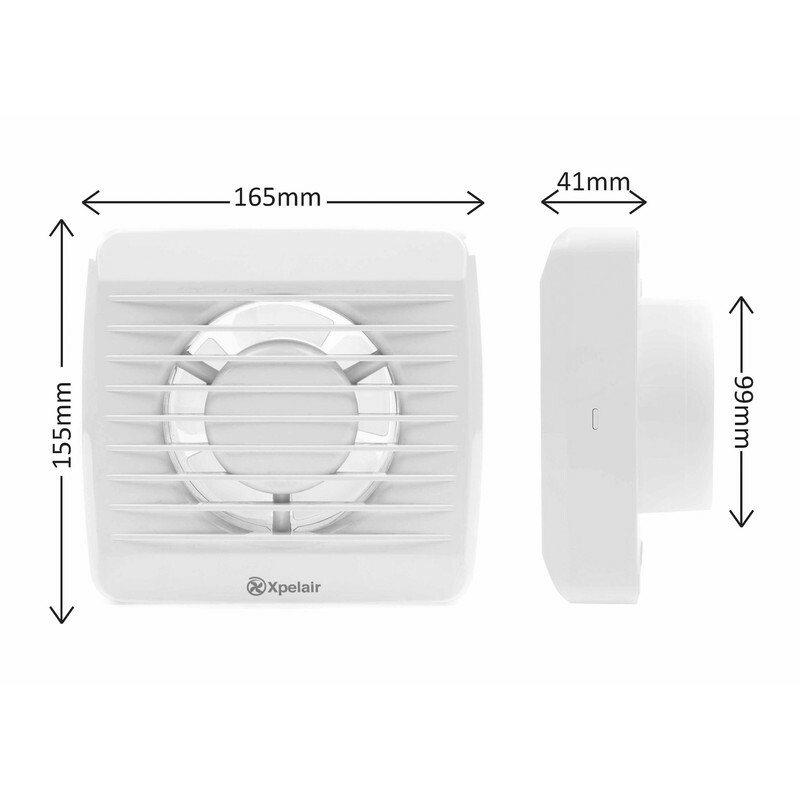 Rated 5 out of 5 by PFG1111 from Compromise I initially purchased the Xpelair version with a timer but could not get access to the rest of the circuit to install it. Hence I bought the simpler one which is fine. Rated 2 out of 5 by Doblo1 from Bad Design. Centre very difficult to connect, only diagonal fixing points, overall pay a little extra it will save you time. Fan looks different to picture. 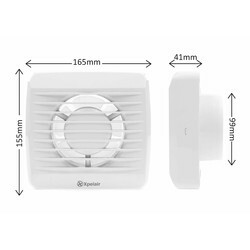 Rated 4 out of 5 by alandavieselectrical from Good value reliable fan but front difficult to fit I have fitted dozens of these over the last ten years. 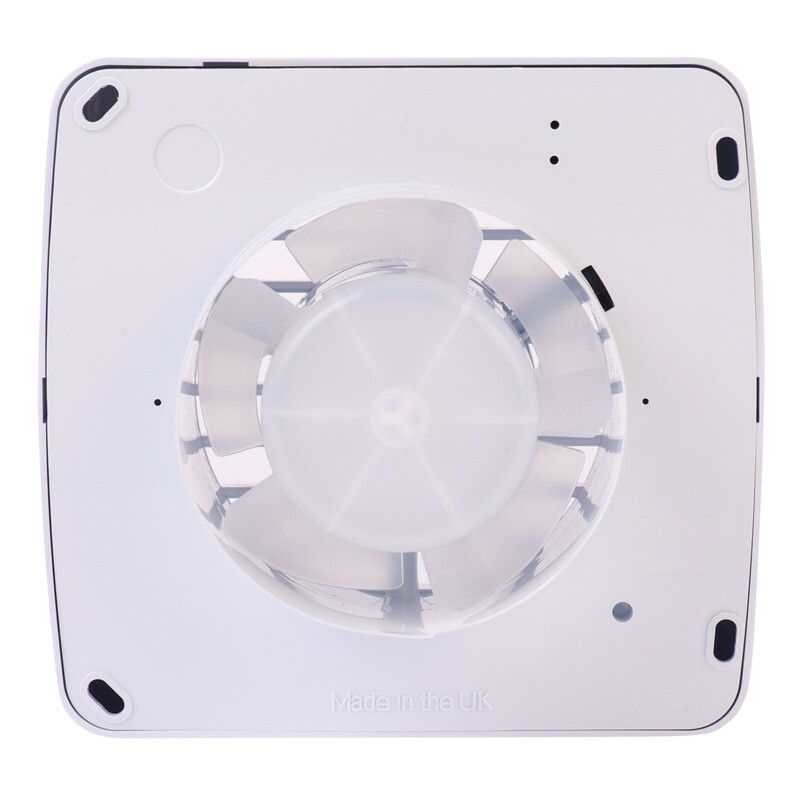 Great value, reliable fan including all vx100 versions. Make sure you use the screws supplied. However the front cover isn't always straight forward to fit; even with a flat wall, it can rub or stop the fan rotation. I usually move the cover slightly, (trial and error) until there is no fan noise. Then apply clear silicone bead between fan cover and wall to prevent any future movement of cover. No customer complaints yet! Rated 4 out of 5 by JJ1952 from Easy to install user friendly Have fitted several of the Xpelair VX100P before with no problems an excellent product. Rated 4 out of 5 by Newby from Noisy! Decent quality, good price and easy straight replacement for my existing shower, but noisy in operation.